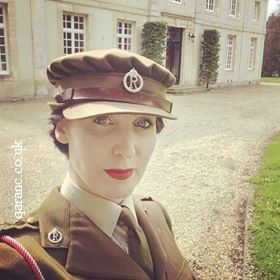 Gillian Clarke, a member of the Wartime Living History Association in Northern Ireland, is pictured wearing the uniform that belonged to D-Day veteran Lt Col Maureen Gara QAIMNS. 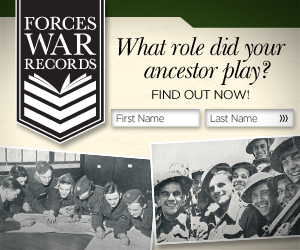 The Wartime Living History Association take part in educational events such as school talks. They also attend public events throughout the year, during these Gillian tells Maureen's story to keep her memory alive and teaches listeners about the D-Day Normandy Landings and the Queen Alexandra's Imperial Military Nursing Service. 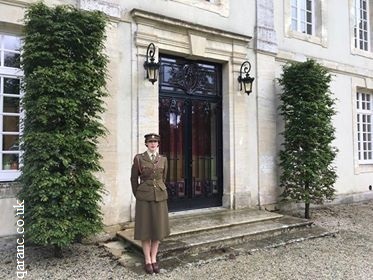 In 2017 Gillian wore her uniform and visited Normandy and went to the location where the 79th General Hospital was set up. The location was kindly and extensively researched by Ricky Le Quesne. Please note that the photographs show Gillian wearing the Reserve badge because the QAIMNS badge is rare to buy. Lieutenant Colonel Gara was a member of the QAIMNS(R) during World War Two and became a Regular after WW2. She was christened Mary Anne but chose Maureen as she disliked her names. She was one of seven children and was born near Carrick in County Donegal on 18th January 1916. Her parents were farmers. Maureen went to a convent school and then trained as a nurse in Manchester before joining the Queen Alexandra's Imperial Military Nursing Service Reserve in December 1943 where she was posted to the 79th General Hospital in Watford in the St. Agatha orphanage where she learnt military drill, tentage and field nursing care. br>On the 14th June 1944 she was a nursing officer with the 79th General Hospital where a field hospital had been set up in Bayeux. She was one of many who bravely scrabbled down a net from the troopship and onto a landing craft in rough seas. She then spent her first night in France in a trench with a 24hour ration pack whilst a fierce battle took place outside Caen. At 4pm the next day about 400 casualties arrived. In September they moved with the Allied Advance into Holland. After her acceptance to the Regular Army she was posted to India, Singapore and Terendak. She rose to the ranks of Deputy Matron and was then promoted to lieutenant colonel and served at the QARANC Training Centre as the chief instructor. 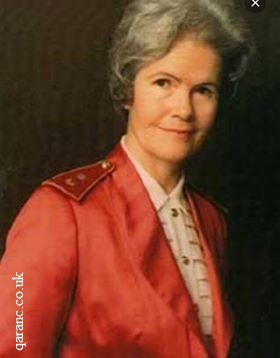 She was awarded the Royal Red Cross Medal in 1969 and then became the Matron of the Queen Alexandra's Military Hospital Millbank in London. She retired in 1971to Aldershot and became involved with the QA Association. A stamp in her honour was printed in 2004, commemorating the 60th anniversary of D-Day, of St Vincent and the Grenadines. She died aged 93 years on 19th October.